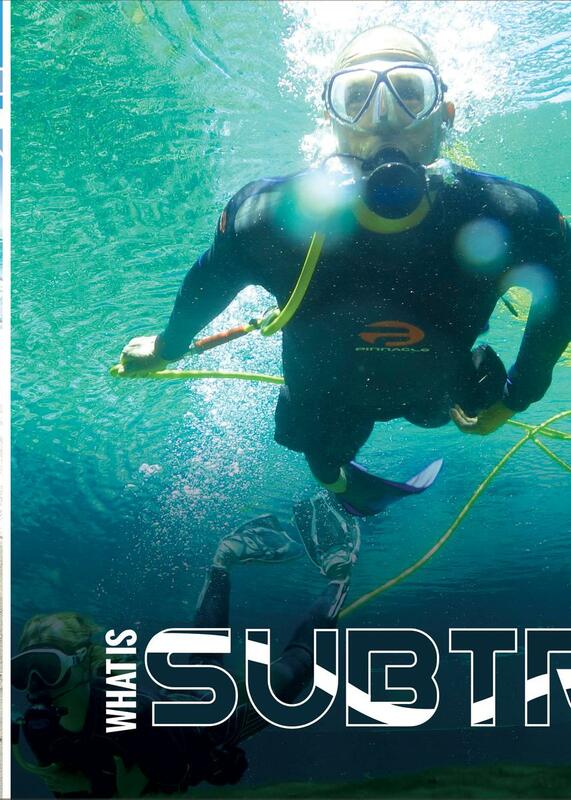 The latest innovation of Scubalife Designs, SubTrek™ is for all water lovers. Unlike a traditional "Resort Scuba Experience" or "Discover Scuba", both of which can be overwhelming, SubTrek™ provides an easy and stress free way to have an underwater adventure. Subtreking is fun and easier than snorkeling! Subtrek™ is an ultra light weight inflatable unit. Easy to tow and creates less drag in the water compared to other surface supplied units. It is made in the USA with a scratch and tear resistant vinyl bottom, heavy duty CORDURA body and finished in bright bold colors for high visiaility. 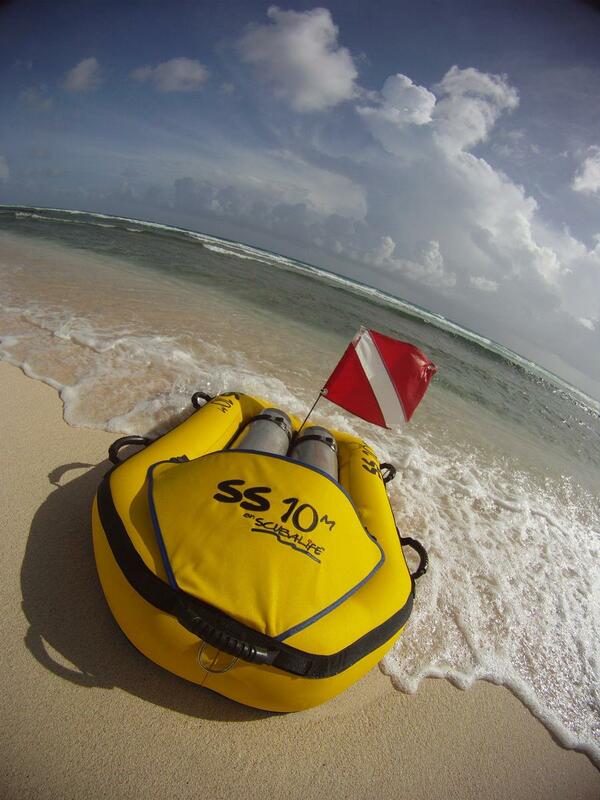 The SubTrek™ Unit holds two standard Scuba Cylinders securly bewteen two seperate inflateable air cells. The floating umbilical system is connected by locking quick connects to a gas manifold (for redundancy). Second stage regulators stay close because we use regulator necklesses. The Excursion Harness comes in 3 sizes for comfort is fully adjustable, with removable weight pockets for easy ditching of weights. A large stainless steel D-Ring is located on the back of the harness and is used as the attachment point for the umbilicial system.